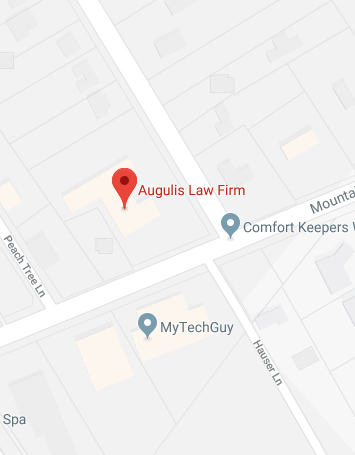 The attorneys and staff at the Augulis Law Firm are proud to provide service to the residents of Somerset County, New Jersey. Our estate planning and elder law experts are committed to helping our neighbors in the area develop effective strategies that provide comprehensive asset protection, security against incapacitation, and other critical benefits like Medicaid planning. We’ll help you safeguard your wealth and even grow it over the course of your life to ensure that your retirement and legacy planning accomplish your goals. You may not always be able to predict everything that will happen in your life, but you can prepare for the unknown with goal-centric planning that works. Somerset County residents know that we are here to help them with that planning. Somerset County, New Jersey was originally created from parts of Middlesex County more than three centuries ago, and enjoys a population of more than 330,000 people. The county has the distinction of being one of America’s oldest existing county. Settlers first took up residence in the area in 1681, and by 1688 the county charter was created. While its origins were agricultural in nature, that changed over time to the point where Somerset County was ranked seventh on a list of the wealthiest counties in the United States. It also has one of the higher standards of living in the country. The area has a fairly diverse economy, with many industries and occupations that would be considered high-end almost anywhere in the country. Health care and pharmaceuticals, manufacturing, and educational services comprise nearly 40% of all industry activity, with retail, finance, insurance, and professional services making up another 27% of the economy. Sales, management, math and computer occupations, and financial services jobs provide nearly half of the area’s employment opportunities. As of 2013, estimates for the county’s median household income placed that number at $97,219. That’s a sizable increase over the 1999 estimate of just under $77,000, and it far exceeds the statewide median income of $70,165. As noted, the county is wealthy, and that place a burden on many area residents to make the most of that wealth. Many need effective financial and estate planning to protect assets and help their wealth work for their benefit over time. The estate planning professionals at Augulis Law Firm are always available to provide that assistance. The median age of the county’s residents is roughly 40 years old, which is just one year older than the statewide median. 25% of those residents are younger than 18, while more than 12% are age 65 or older. Seniors who live on their own make up 8.5 % of all households in the county. Seniors in Somerset county share much in common with seniors elsewhere across the nation, and they usually try to remain in an independent living setting while they can. Eventually, many find that they need more care and begin to rely on family members or in-home nursing care. When health needs become more dramatic, they can choose to move to a nursing home. For seniors contemplating that move, caring.com maintains a list of nursing home facilities located within the county. Finding the right nursing home can be difficult, even when you have a list to use as a reference point. After all, nursing homes are not all alike. Prices, care, and other attributes can all vary dramatically. In addition, funding issues can be a concern, as many seniors need to find a way to become eligible for Medicaid. At Augulis Law Firm, we can help you and your loved ones find the answers to all of these pressing concerns. For anyone considering a move to the Somerset County area, information about housing and the labor market can often be useful. The data on both fronts can help in considerations about home-buying and business moves to the area. Across Somerset County, the median house value in 2013 was estimated to be more than $400,000 – which is $44,000 shy of double the value recorded in 2000. That value is also about $93,000 higher than the median home value throughout New Jersey. For renters, the median cost of monthly rent is more than $1,200 per month. Employers looking to move into the area should know that nearly nine out of every ten residents have completed high school or some level of higher education. More than 46% have at least a bachelor’s degree to their credit. Unemployment is the county is a mere 4.4% – a full point lower than the statewide rate. In Somerset County, probate is managed by the County Surrogate in the county seat of Somerville. Residents and visitors with business before the Surrogate can contact or visit the county Superior Court at 20 Grove Street, P.O. Box 3000, Somerville, NJ 08876 during normal business hours. You can contact the Surrogate at (908) 231-7003. Probate court is vital to the county’s functions, as it deals not only with estate resolution but also guardianship proceedings for minors, seniors, and others with limited capacity. These issues are extremely complicated at times, and many residents and other interested parties may have questions about the process. While the court can provide many answers to common questions, residents should also be aware that the attorneys at Augulis Law Firm are here to ensure that they have the probate help they need to navigate and problem. At Augulis Law Firm, our estate planning and elder law professionals are dedicated to servicing the resident in Somerset County with competent and effective strategies that can resolve their most urgent needs. Whether your goals include asset protection, Medicaid planning, incapacity resolution, or any other elder law and estate planning concern, Augulis Law Firm can help you find the answers you need. Contact us online or call us today at (908) 222-8803 to learn more about how we can help you meet your goals.